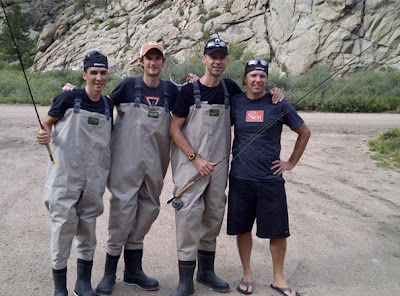 Only Jens Voigt could unite professional cycling and fishing. Like many of us who have passions for several sports, Jens Voigt came to Colorado last year for the USA Pro Cycling Challenge and discovered that the beautiful waters of Colorado are excellent for fishing. Riders are sometimes tourists too, if Jens is lucky he might have time for some fishing while in Colorado. I thought it would be fun to provide Jens (and the rest of us) with some ideas about where to go fishing in Colorado. Last year I was in my car, following the race south from Steamboat to Breckenridge down Hwy 9, traffic was halted as the racers rejoined the highway after riding around Green Mountain Reservoir. I got out of my stopped car and ran up the road past 8 cars to see the peloton whiz by and get some photos. Inside the second car in the long line of cars were two older men in khaki, as I passed by they asked me, "What is going on?" I said, "It's the race, the peloton is joining back onto the main road." "Huh?" they replied. "Aren't you here for the race?" I asked, "No, we were just out fishing!" I laughed. Out fishing, and they got caught right behind some of the best riders in the world. 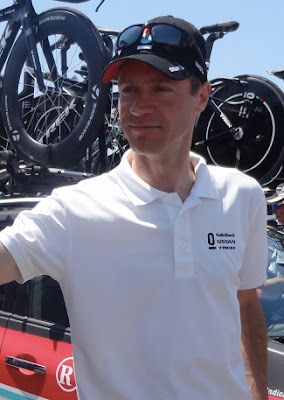 I spoke with Karen Christopherson from ColoradoFishing.net, who has personally recommended fishing locations for Jens Voigt along the route of the 2012 USA Pro Cycling Challenge from Durango to Denver, Colorado. Just in case Jens has a little free time before or after each stage - he will know exactly where to wade into the waters thanks to Karen's expert recommendations for both Jens and the fans. 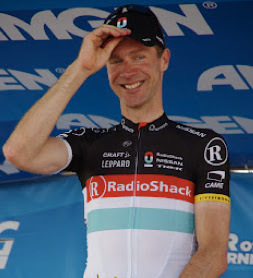 Welcome to Colorado Jens Voigt! 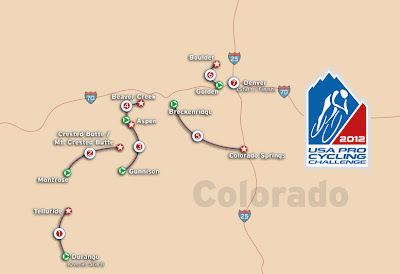 For Jens - a list (with links) of the best fishing to be found near the parcours (route) of the 2012 USA Pro Cycling Challenge. Enjoy your time in Colorado Jens, we are happy to have you visit again. Go team RadioShack-Nissan-Trek! Highway 145 follows the Dolores River as it climbs towards Lizard Head Pass. This beautiful country offers fishing access on San Juan National Forest lands on the upstream portion of the river. However, since Jensie probably won't have time to stop and fish, he may have to settle for the San Miguel River near Telluride on Monday evening. Not much good fly fishing in Denver. But after the racing is done, plenty of opportunities lie west of Denver within about 1.5 hours drive, whether it's the Blue River near Silverthorne off I-70, or the South Platte and tributaries off Hwy 285 in South Park. A great big thank you to Karen for her help in sharing the joys of traveling and fishing in Colorado.